Pet pop in services Bedford - There for them when you can't be. Happy Paws Cat Pop in. Are you going on holiday and don’t like the idea of putting your beloved cat into a cattery? Would you prefer they remained in the comfortable, familiar surroundings of their home? Happy Paws Bedford offers a cat visit service whereby we would feed and put down fresh water, clean the litter trays, administer medication if needed and of course have a game and a cuddle. If requested we can also make the property appear lived in by performing such things as turning on/off lights, taking the bins and post in, and opening and closing curtains. We are fully insured and CRB checked. Do you have a rabbit, hamster, bird, ferret, rat, snake or any other caged animal? 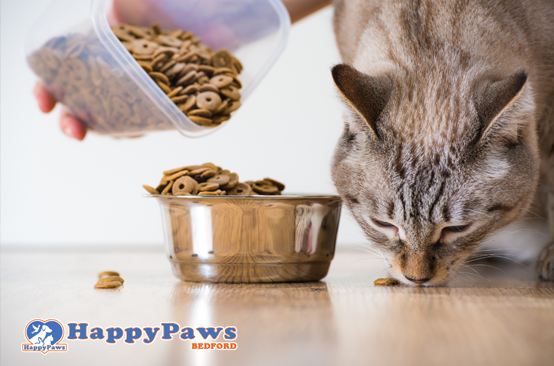 If so Happy Paws Bedford has a service for you, we will feed the animal, refresh their water, clean hutches/cages, and give any medication if required.